Marrying the love of your life may seem like a simple task but when your significant other has proposed the idea of a prenuptial agreement, how are you supposed to respond? Prenuptial agreements are not just for the rich and famous as it is widely believed. More and more people are getting prenuptial agreements to provide some protection and peace of mind in the event their marriage heads toward a divorce. Whether you need assistance in drafting a prenuptial agreement, proving your prenuptial agreement was unfair, specific assets were not disclosed, or that you were coerced, then a divorce attorney can assist you in drafting an agreement or reviewing your options with an existing prenuptial agreement. Dua Law Firm has dealt with a number of prenuptial-related cases in Fairfax and has experienced divorce attorneys to help with all types of legal counseling or representation services. The increase in divorces has led to an increase in prenuptial agreements, and it is important to understand what a prenuptial agreement is and how it can affect the parties involved. Below we have provided the purpose of prenuptial agreements and why it may be useful. A prenuptial agreement is a written contract made between a couple prior to their marriage in regards to the division of their assets, among other things, in the event they decide to divorce. This type of agreement must be finalized before marriage and goes into effect once the marriage officially begins. In Virginia, prenuptial agreements are also known as a “premarital agreement.” Although the initial thought of getting a prenuptial agreement can raise questions on each parties’ motives, it is also a great opportunity for each party to learn how to effectively communicate with one another in preparation of a dissolution of the marriage. Having a prenuptial agreement in place may reduce the costs of divorce and can even help simplify the process. A prenuptial agreement is not about defining what your marriage should be but rather to solidify a reasonable plan in the event of a divorce. The purpose of a prenuptial agreement is to provide a smooth ride when the road gets bumpy. What Does A Prenuptial Agreement Consist Of? There are various details that can be included in a prenuptial agreement, and some common factors include spousal support (alimony) rights, ownership of the family house, ownership of retirement and investment assets, and the division of real and personal property. However, if you are in the process of a divorce and do not have a prenuptial agreement, the assets acquired during the marriage as well as some you owned before the marriage will be subject to equitable distribution. Consult a DUA Law Firm Attorney About Your Prenuptial Agreement Today! If you have been thinking about setting up a Virginia prenuptial agreement, it is recommended that you consult experienced legal counsel in Northern Virginia. 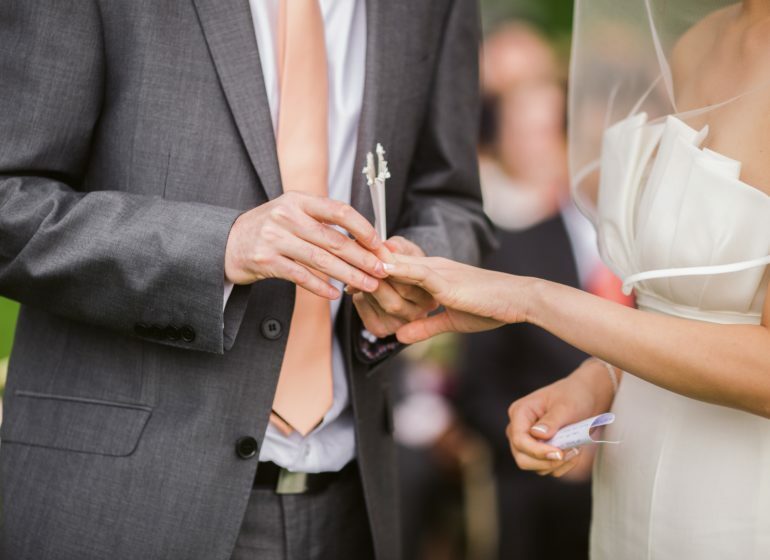 With years of experience representing clients with their prenuptial agreements, a professional family law attorney at Dua Law Firm will guide and assist you with customizing your prenuptial agreement. We have the flexibility to work with your schedule to help you determine whether a prenuptial agreement is needed no matter what your current situation is. To schedule a free consultation today, contact us at (703) 382-7300. We look forward to assisting you with your prenuptial agreement today.